Typical Opposition Position Poor performance in public schools is the parents' fault. The Facts Charters thrive on parent engagement and many polls show charters have been very successful at it. Regular public schools in contrast have a weak record of engaging parents. Parents should have the option of choosing their schools. We trust them to choose their children’s health care providers, why not their schools? The Bluegrass Institute’s Bluegrass Policy Blog also took a look at how charters in two of the largest charter states, Texas and Florida, did with their African-American kids. Both states had notably lower scores for African-Americans on the National Assessment of Educational Progress back when KERA began in the early 1990s. Today, blacks in both states outscore us. The score trend change started around the time both states started their charter school programs and was especially notable in Texas. By the way, charter enrollment in both states has skyrocketed since the mid-1990s. It is over 100,000 students in both states now. 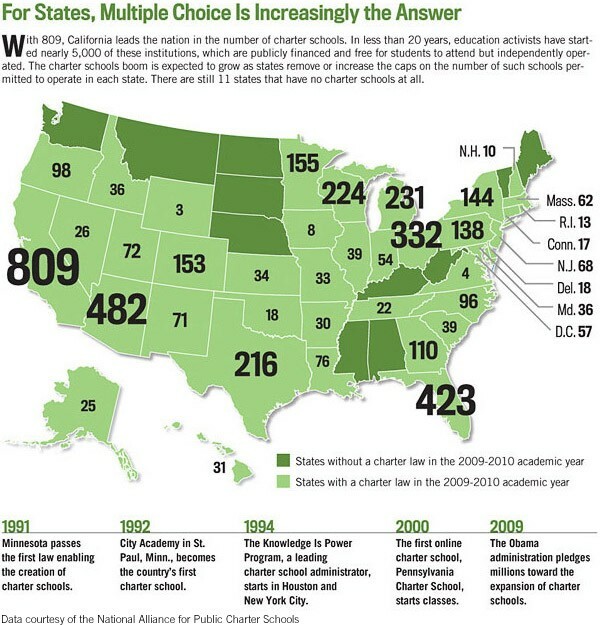 Do you really think that would happen if charters were not very popular with parents? The Facts That’s generally wrong. The KIPP program, for example, won’t let a person take over a KIPP school without completing a full training program. We posted a blog item on that on December 9, 2009.